Bright, charming and full of energy, this glowing flower bouquet is sure to make your dear ones the happiest in the world! 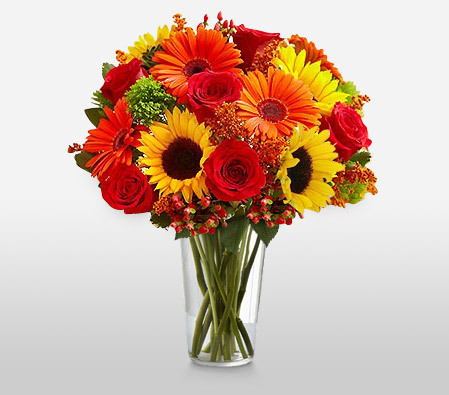 It includes Roses, gerberas, sunflowers and beautiful greens. Vase not included.